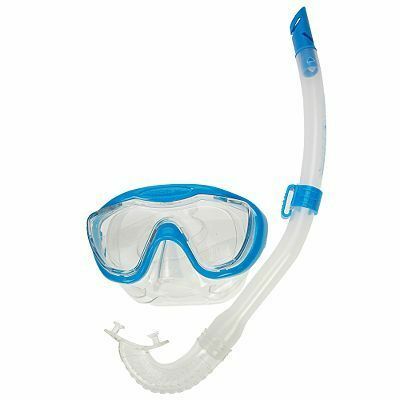 For the past few years, my husband has swam laps using a snorkel. I admit, I gave him a hard time about it at first and maybe I even chuckled…a few times. Last month, when the pool water was finally warm enough for me, I attempted to do some laps. I quickly realized how many muscles one actually uses while swimming and how it didn’t appear that I had used those muscles all winter long. I did what I set out to accomplish, but my breathing was labored. I just couldn’t regulate it or find a rhythm. I managed, but it wasn’t pretty. So a couple of weeks ago I mentioned to my husband that I’d like to get a snorkel myself and try it out. He offered an extra one he had and I got ready to go. I first tried the snorkel with my regular swim goggles on and quickly realized that I was getting water up my nose and it didn’t feel comfortable. I then switched to snorkel goggles and got ready to jump in again. However, before I actually got in, I panicked for a few minutes. As soon as I put those snorkel goggles on, I thought I was going to suffocate. Similar to my first time going scuba diving, my claustrophobia went into high gear…so much so that I almost opted out all together. Once I got in the water and started swimming, I felt like I could swim forever. There was a peace and a calm and my breathing became much more steady. Sure, my arms started to cramp up, but I had to work through that. I swam for about thirty minutes straight and if I could have pushed through the boredom, I probably could have swam another thirty minutes. If only I had a waterproof option on my iPhone so I could have listened to some music! When I was finished, I felt like I had accomplished something and was actually looking forward to the next time I could swim. I told my husband that swimming with a snorkel on was the difference between running (as in a marathon) and walking (or something similar like yoga). Without the snorkel, it was work...work I was not interested in at this time. It hurt my neck and I thought I might either have a heart attack and/or drown at any moment. Swimming with the snorkel on made it much more enjoyable. Perhaps the workout is not as intense, but it serves a purpose. I was still burning calories and strengthening my muscles. While I was swimming, this thought kept creeping into my head. 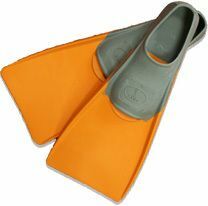 Swimming without my snorkel on was like walking through life without Jesus. But, swimming with my snorkel on was a picture of what it is to do life with Jesus. I can totally swim on my own, without the snorkel, if I choose, but it is hard…complicated in fact. Just like life without Jesus. Sure, most of us think we can manage through this life on our own. It may not look pretty and it may not be perfect, (or perhaps it may look pretty and appear to be perfect) but we can do it. But, that’s not how we were created. We are meant to live in constant contact with God. We are meant to enter into a relationship with Him. He has even provided the Holy Spirit to live within each believer to serve as our Helper…our own built in snorkel. Life is not easier just because we have Jesus in our lives, but having Him in our lives does make living easier. He is our strength and our strong tower in time of need (Proverbs 18:10). He walks with us and assists us through everything we go through…even if we can’t see Him in the midst of it. My snorkel made it easier to concentrate on my form while swimming and allowed me to swim longer than I would have been able to without it. That’s what Jesus does for each one of us. As we focus on Him, we begin to focus on the important things - the things that bring Him glory - instead of being distracted by the world around us. We can make it through days, weeks, and years that we might not otherwise have been able to make it through on our own. He enables us to “run with endurance the race that is set before us” (Hebrews 12:1). Praise God because in my flesh I am not always a runner or a finisher! But through Him and for Him I can and I will. I have felt in my spirit that the Lord is calling me to greater works for His glory. I will need a snorkel now more than ever. He has birthed a passion for Him deep within my heart that often has no outlet. I am thankful my blog has allowed me the opportunity to share some of my joy and insight to a larger audience and I pray that it has blessed you in some way. And now, God is calling me to stretch myself even further. He has given me some pretty big and specific marching orders. These orders were so specific He even drew them out for me in case I was unsure the thoughts in my head were coming from Him! My blogs will continue, but I am also so excited to announce that the writing of a book is finally underway! I have penned the first few chapters and am praying that the Lord speaks to me and through me. Coming up with a thousand or so words every so often does not appear anywhere near as challenging as coming up with words to fill an entire book. I may need to add flippers for extra help! Please be in prayer for me as I start on this journey. The book’s title at this point is Emerging: Out of the Shadows of Voluntary Darkness. As I hear more and more stories from women and men, I realize now more than ever that many are living in darkness through the choices they are making…often without even realizing it. It is said that the lost in the church are the hardest to reach because they don’t realize they are lost. God will use His people to reach these people. Now is the time for revival within the Church and the Lord needs everyone within the Church to be in the game. We all have a part in reaching people with the Gospel and you never know...some may be closer than you might even think. I have no idea how long it will take to write this book, whether it will ever be published or if anyone will ever read it, but I know that God knows all about it already. Doubt has always kept me from moving forward. I don’t doubt that God is who He says He is or that He is with me, but I often doubt that God wants to use me….until today. In my Bible study this morning, we had to do an exercise. We had to write a letter to God confessing our weakness(es) to Him. So I wrote to Him all about my weaknesses of doubt and insecurity about Him using me for ministry. Once done, we were asked to seal up the envelope and lay it at the altar. Our women’s minister said that she would mail this back to us in about a month so we could see what God had spoken to us or done about this in that time period. Well, I didn’t have to wait a month…it was only about ten minutes or so. During our Bible study video, these words were spoken…and except for the fact that I was sitting in a room with a couple hundred women, I would have thought God was sitting in the room saying these words just to me. "I thank Christ Jesus our Lord, who has given me strength to do his work. He considered me trustworthy and appointed me to serve him, even though I used to blaspheme the name of Christ. In my insolence, I persecuted his people. But God had mercy on me because I did it in ignorance and unbelief. Oh, how generous and gracious our Lord was! He filled me with the faith and love that come from Christ Jesus. If that is not clarity, I am not sure what is.